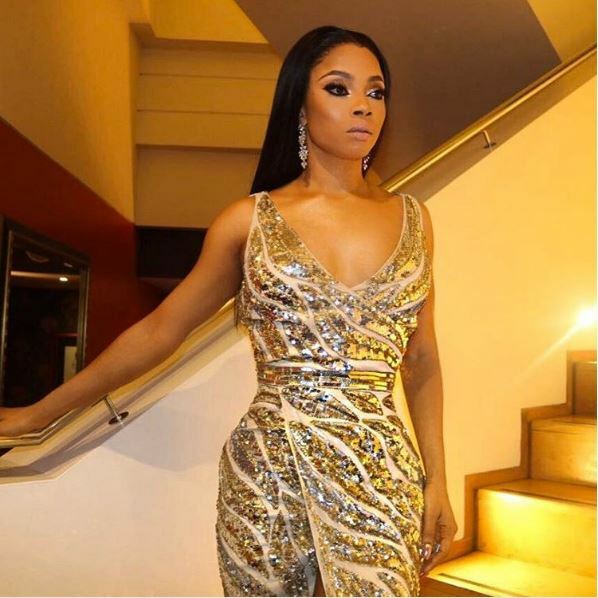 Media personality Toke Makinwa in an Instagram post on Friday revealed how she came about the title for her memoir, On Becoming. Someone asked me why the title “On Becoming”. The Holy Spirit gave me that name. I remember thinking of a name for this project and when I got “OnBecoming…” I wasn’t quite sure why or what it meant in totality but on a flight to Houston yesterday it hit me, I am a work in progress, no full stop till I’m gone. I am unfinished, incomplete, the story is still being written, the race is long and God has given me purpose. The last few years of my life hasn’t been the easiest but thru it all I have grown, I am becoming. I’ve heard people say “are you the only one to go thru tough times” and my response remains the same. – what did you do with what you went thru? How did you help someone else grow thru your struggle, the purpose is always bigger than the pain, did you learn all you have to keep it to yourself? Ben Affleck and Jennifer Garner finally File for a Divorce! Toke abeg don’t kill me with laughter this morning. So the Holy Spirit didn’t warn you before you enta fire. I hope you are not just milking this but a personal growth for yourself spiritually and mentally. When a man don’t love you, move on. Use it as a time to work on yourself. The love you searching for, validation you are looking for only Christ can give you. 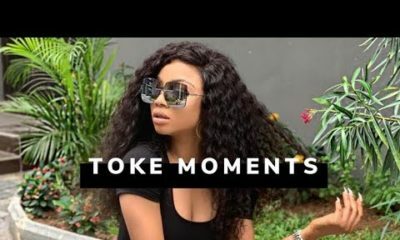 Leave Toke alone and go continue with your witchcraft. Don’t come here and deceive us with talks about Christ. The devil is still learning where some Nigerian girls are. BN, if you guys like use my comment as Easter salad! The Holy Spirit can actually minister to anybody, especially the perceived sinner. Ask Saul=Paul. If the Lord has an assignment for you after your mistake.He will surely minister to you. I believe Toke just as I also believe we can hear ourselves or satan and assume the Holy Spirit spoke. If the Holy Spirit can talk to her about the title of a book, I guess he would have talked to her about her inappropriate breast exposure. I guess she’s just not listening or her Holy Spirit is different from the gentle and decent spirit that the Bible describes. If she says so, then so it is. Let it be!! When it comes to things of the spirit, there’s really no need for arguments & controversies, cus we really can’t tell. Can you?? I’m out! 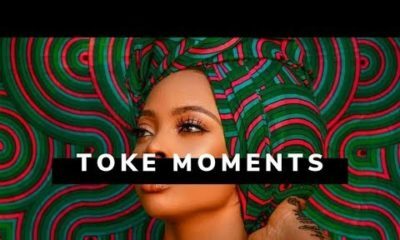 Toke reminds me of myself after an abusive relationship in the university. I was a popular girl and at that time, to hear everyone speak negatively about the situation broke me and drove me to prayer. 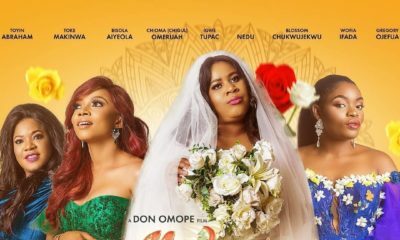 Toke, you will be fine, trust me but you are not fine yet and even that is okay. God will heal you completely one day and when you hear the name Maje, ‘you’ll feel nothing. In the words of Cece Winas ‘one morning you’ll awake to find there’s one last tear, then you’ll heal, you’ll heal, I believe you will’. The people calling you all sorts, while some are just uncouth, your situation is Dejavu for them. You’ll look back years from now at this point and actually be thankful but darling, that’s only if you don’t pretend to yourself that you’re strong when you’re not. Note yourself oh, you owe no one else. May God heal you completely. PS: BN, this babe posted this on her Instagram early this week except Toke is getting some revenue off your blog, I think it’s wrong to keep using her to get traffic and comments. Y’all be acting like you’re anti bullying and all. You keep saying the holy spirit ministered to you, God told you to write this book, you wrote this book to inspire, ok lets say I believe you, please what have you done with this platform other than display your material things business class trips to London US etc. Seems to me like it’s all about the money fame jet set lifestyle to you, how many schools have you been to to speak to young girls nowadays who are so lacking of selfwofth like you wrote about in your book, by all means enjoy your life congrats to you on all your success but pls some of us are not fools and see right through you. Toke, I’m not saying the Holy Spirit didn’t say anything.. But e don do? Who have really used this your situation..
People can be foolish sometimes. Imagine yourself all alone just thinking and all of a sudden a thought or idea come to mind. Is that not a Holy Spirit guiding you. How do you think a holy spirit talk to prophet. It’s through dreams and other revelations. It’s what you perceive it to be. Full stop. Human beings (but I really mean Nigerians), chai. Just because someone doesn’t do Christianity the same way you do, the Holy Spirit can’t talk to her? You seem to forget God cannot be put in a box. Meanwhile, those of you criticizing, how are you sure the Holy Spirit has spoken to you? Check the plank in your eye first please. My eyes!! My eyesss!! This plank won’t let me see. Helpppp!!! Toke the Toke….like someone said we cant really questions the things of the spirit. Please start winning souls with this platform that u have. I pray the holy spirit comforts you and direct you as u forge ahead in life. God never contradicts His words. The content of the book (irrespective of the intention) slandered individuals at whose expense you are cashing in. Love (agape) covers a multitude of sins and God is LOVE. He may have given you the title but I doubt He encouraged the content or you simply refused to let him guide you on how to write the book more constructively without anyone getting hurt. I actually like this gehl. Madam wehdone. Continue jor. Anyways, there are different types of spirits out there. Not all of them be holy.